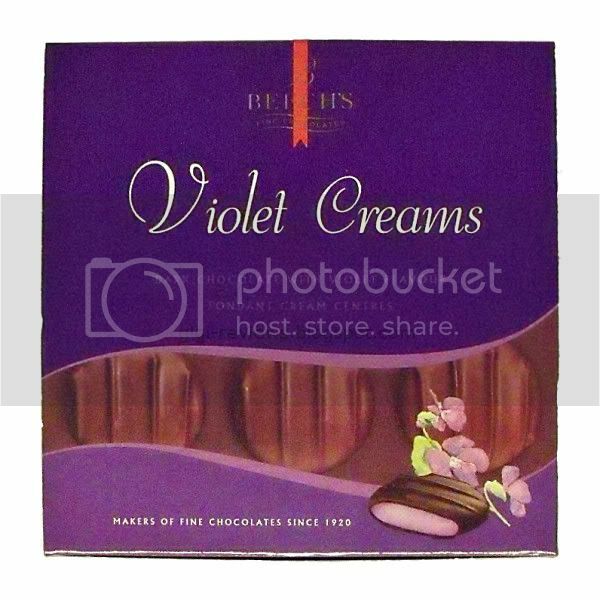 Since the Epic Fail that was Beech's Rose Creams, I have had these Violet Creams buried in my stash and could not bring myself try them. I found that bothersome. So, I finally decided that I was just going to break down and review them, and not have a chocolate covered, Barney-colored candy haunting me. After all, they can't strike out twice in a row, right? Much like the Rose Creams, each little patty is about the size of a U.S. half dollar coin. But while the color of the cream center was subtle in the Rose version, in this version it is screaming "LOOK AT ME!" 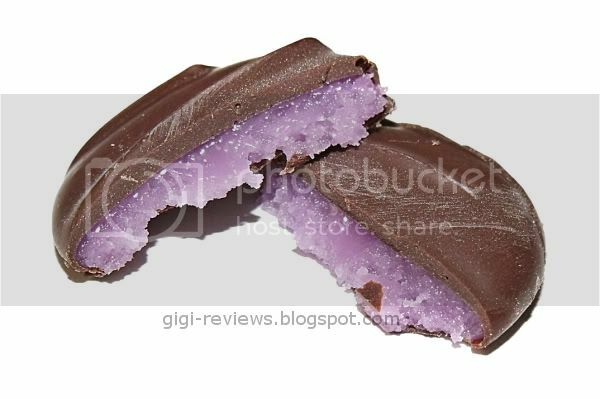 If nothing else, it is a very pretty candy, between the dark chocolate and the vivid purple filling. The aroma was also pleasant. Mostly it's the chocolate that stands out, but hovering just in the background is a little flash of floral perfume from the violet. So far, so good. The chocolate coating is the same as with the rose version -- super sweet, waxy, with a lumpy melt. Not very good at all. It's the filling that stands out. If you have ever tried C. Howard's Violet Mints, it tastes much like those, only on steroids. If you've never had a violet flavored product, I am not sure I can fully describe it, but I will try. It's very floral and perfumy -- which probably sounds bad, but I find it refreshing. It makes me think that maybe I just chewed on a fresh sprig of something. The aftertaste lingers for a long time -- but again, I liked it because it was crisp. If you don't like strong, floral flavors -- I warn you right now that this is not the candy for you. But if you do like them, or if you're game to try something new, this is a good one. 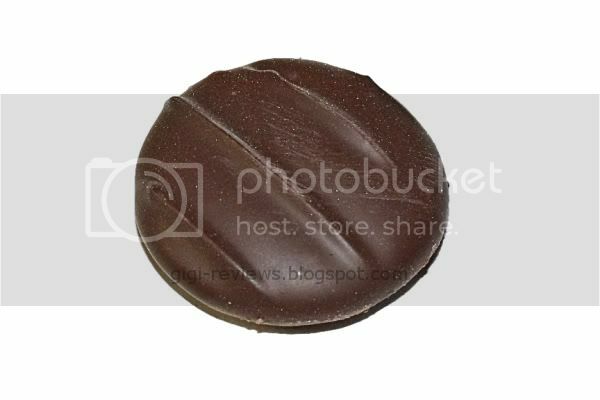 Yes, the chocolate is pretty lame, but the filling makes up for it. This is heaven for me! 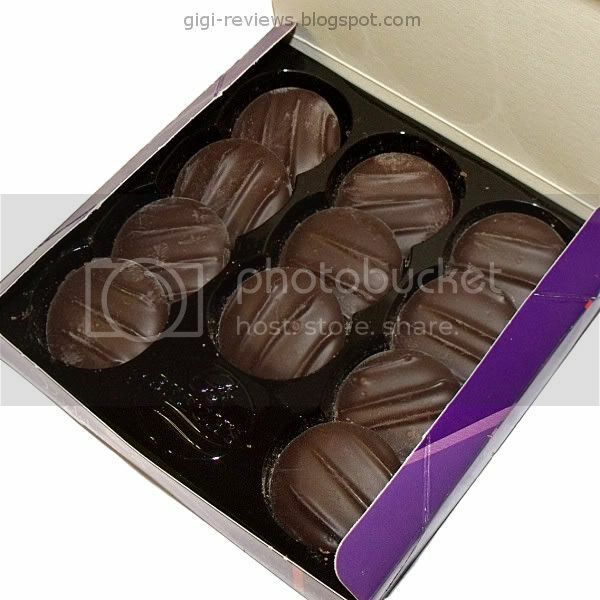 I like Violet Creams a lot because of the surprise in the inside. It is so delicious.